Yes, it’s ridiculously ulu. 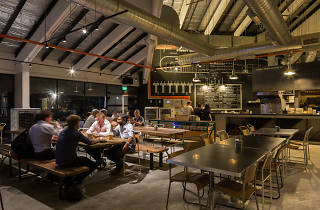 But trust us, a visit to this one-year-old microbrewery is well worth your Uber fare. 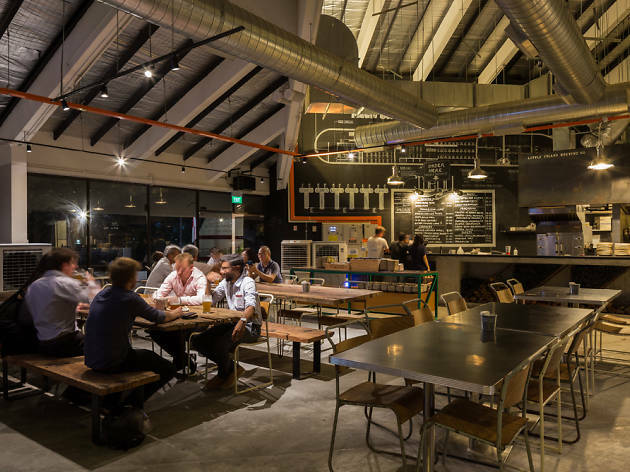 Little Island occupies a warehouse-like space on the eastern reaches of Singapore, pouring out a range of ales, porters and stouts. Bonus points for its laid-back vibe – the beach is just a stroll away – and the ’60s psychedelic-inspired beer labels. 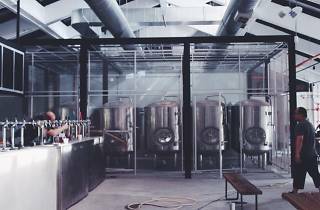 The draft beer list – Little Island also serves craft cider – is on constant rotation, with the brewery frequently concocting new brews. 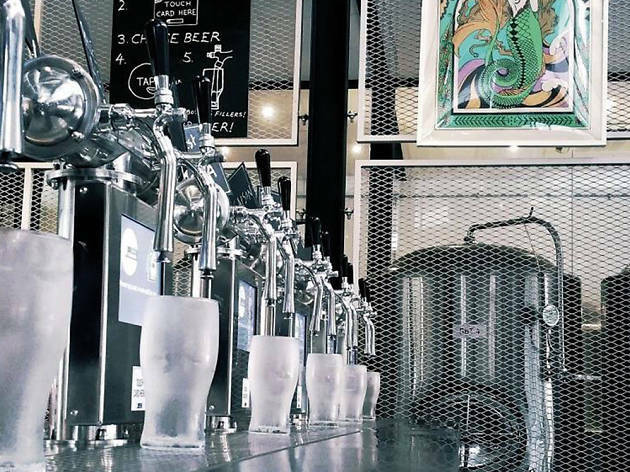 A Whiter Shade of Pale Ale is light enough to offer respite from the non-air-conditioned space, while the Black Magic Dry Irish Stout is a creamy, smooth and full-bodied beverage. And the prices are cut-rate, too. 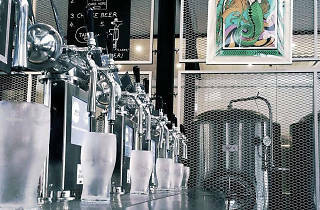 Thanks to Little Island’s pour-it-yourself system, you’ll only pay about $2 to $3 for 100 mililitres of happy juice. Weekend brunch is also where Little Island excels. From noon to 2.30pm, chow down on dishes like fish and chips, full English breakfasts and eggs Benedict for just 15 bucks each. We say go for the brisket sandwich (also $15), stuffed with slabs of beef made tender from languishing in the smoker for 15 hours. Steve Spinney is the brains behind the vats. 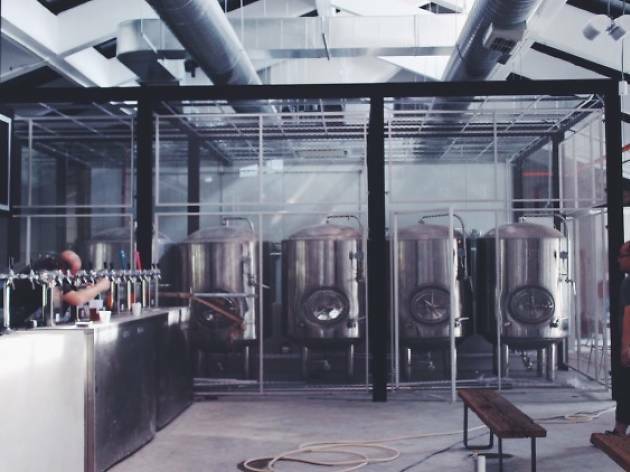 The English brewmaster is best known for setting up the now-defunct Storm Beer brewery in Bali, and he’s responsible for Little Island’s intensely tasty beverages.